Lancaster, 27, and van Amstel, 44, exchanged vows Sunday afternoon at a snowy, outdoor wedding at the the Sundance Mountain Resort in Sundance, Utah. 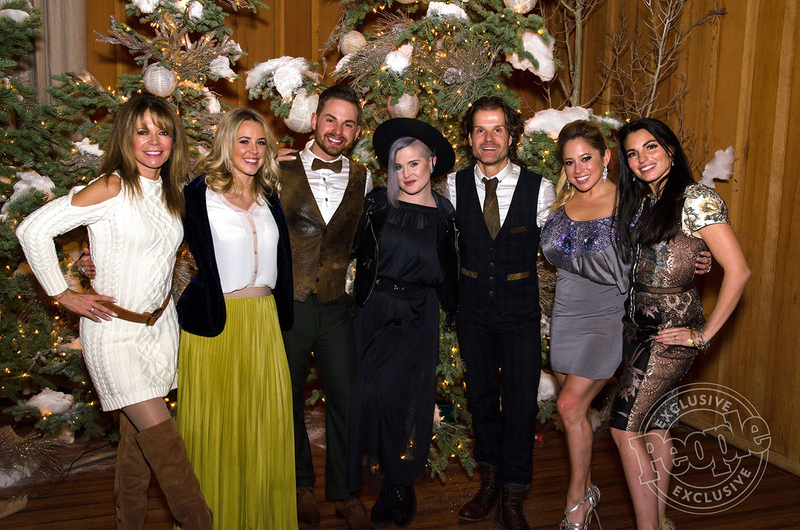 After saying their “I do”s in front of their 137 of their closest friends and family – including van Amstel’s best friend Mary-Margaret Humes, who served as best man; his season 9 partner Kelly Osbourne, who served as a flower girl; his season 15 partner Sabrina Bryan and fellow former DWTS pros Chelsie Hightower and Ashly DelGrosso – the wedding guests were treated to a delicious meal, but no cake! Instead, guests were served chocolate-chip bread pudding and fruit cobbler. Lancaster and van Amstel know their unconventional choice may raise some eyebrows, but they hope they inspire others to do what they want on their big day like they did.